The follower of Jesus is commanded to give thanks in all circumstances. In part 12 of 1 & 2 Thessalonians: Hope In Trying Times, Pastor Dan Cox reads from 1 Thessalonians 5:18. Followers of Jesus are called to encourage and edify one another because they are destined to obtain salvation. 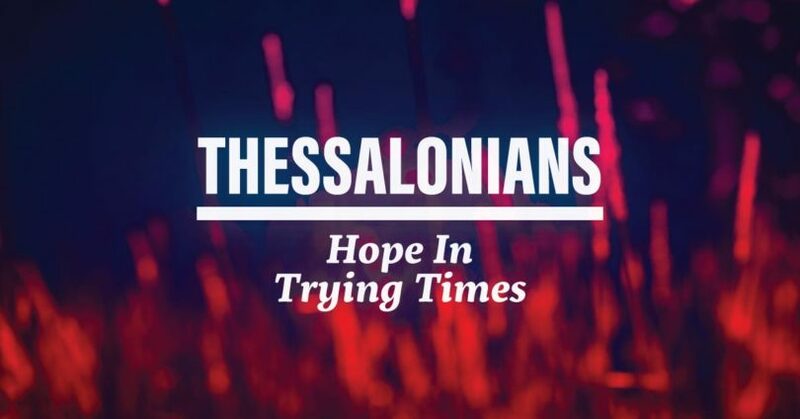 In part 9 of 1 & 2 Thessalonians: Hope In Trying Times, Pastor Dan Cox reads from 1 Thessalonians 5:11-28. Followers of Jesus are called to live sober, upright lives in light of the sudden, unexpected coming of the day of the Lord. In part 8 of 1 & 2 Thessalonians: Hope In Trying Times, Pastor Dan Cox reads from 1 Thessalonians 5:1-10. Followers of Jesus need not grieve death like those who have no hope. In part 7 of 1 & 2 Thessalonians: Hope In Trying Times, Pastor Dan Cox reads from 1 Thessalonians 4:13-18. The follower of Jesus is called to walk in holiness. In part 5 of 1 & 2 Thessalonians: Hope In Trying Times, Pastor Dan Cox reads from 1 Thessalonians 4:1-8. Though consistently opposed, the follower of Jesus must consistently speak the truth of God’s Word. In part 3 of 1 & 2 Thessalonians: Hope In Trying Times, Pastor Dan Cox reads from 1 Thessalonians 2:13 – 3:5. The follower of Jesus is called to faithfully proclaim the truth of the gospel with pure motives in both word and deed. In part 2 of 1 & 2 Thessalonians: Hope In Trying Times, Pastor Dan Cox reads from 1 Thessalonians 2:1-12.